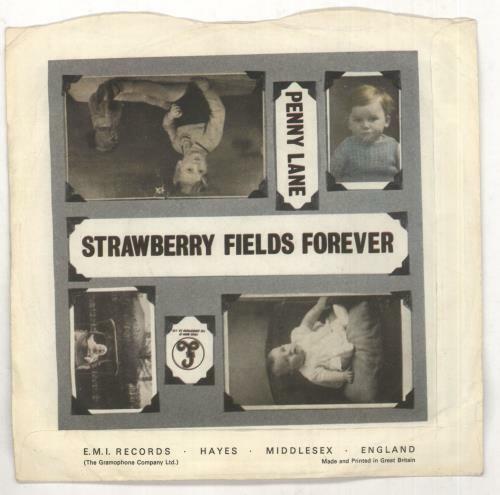 THE BEATLES Strawberry Fields Forever (Essential 1967 UK first issue 7" single with 'Sold In UK' print across the four prong centre, also featuring the brilliant Penny Lane, complete with the rare, scalloped & thin paper picture sleeve. The delicate cover is still a nice off white with no writing or tears & just some inevitable light ring wear creasing. The vinyl is Excellent too, revealing just a few light paper hairlines & minor spindle marks to show play R5570). 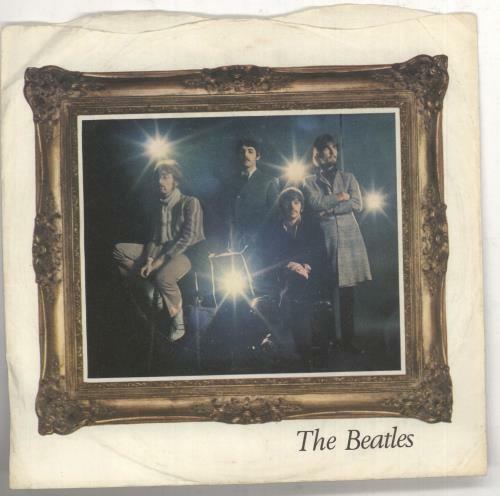 Created Sat 3rd Mar '07 19:38 (GMT) Question to EIL: Does this 7" vinyl have any value?